If you want a healthy liver, just convert your food into energy. To stop liver damage from hepatitis, begin with a stable diet. People with hepatitis need to go behind a healthy lifestyle to reduce risk to the liver. Start protecting your liver by paying more awareness to take nutrition. 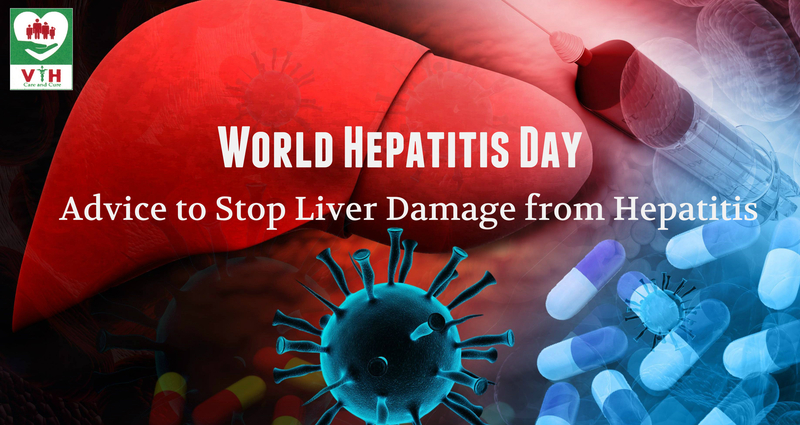 For upcoming World Hepatitis Day 2018, being the Best Heart Hospital in Chennai, Venkataeswara Hospitals sharing some advice to stop liver damage from hepatitis. Hepatitis is a liver inflammation caused by viral infection or toxins like alcohol or drugs. Types of hepatitis — A, B, C, D, and E — are contracted in various ways. Hepatitis A, B, and C are the most common. There are also two other forms known as hepatitis D and hepatitis E. Here hepatitis A and B are vaccine-preventable infections, but no vaccine exists for hepatitis C.
Our Venkataeswara Hospital doctors always recommend to intake well-balanced by following quantity. Half of the plate should contain fruits and vegetables, one-quarter should contain lean protein sources, and one-quarter of the plate should contain high-fiber carbohydrates like whole grains. Remember that an unhealthy diet increases the risk of liver damage. If you intake too much high-calorie foods, you’ll gain weight and fat will begin to develop in your liver. Fat in your liver can also interfere with the efficiency of drugs that target the hepatitis virus. It is important to take special precautions to protect liver damage against any disease that would increase the risk. Our Multispeciality Hospital in Chennai advises everyone to Wash all fruits, meats, vegetables to remove any harmful residues, and wash your hands carefully before and after handling foods. However, you should always consult with your doctor before trying any supplement or certain vitamins and minerals, especially if you have hepatitis. « Can Cough Shows a Warning Sign For Heart Failure?